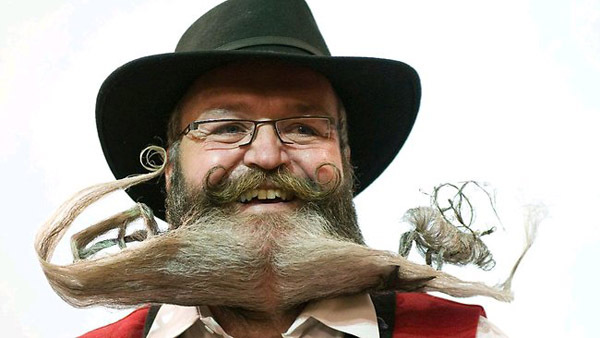 A GERMAN man scooped the title of world’s best beard yesterday after impressing competition hosts in Norway with his facial hair featuring a moose and a Norwegian flag. Just in case you missed the competition this year, this story features a full competitor photo gallery. 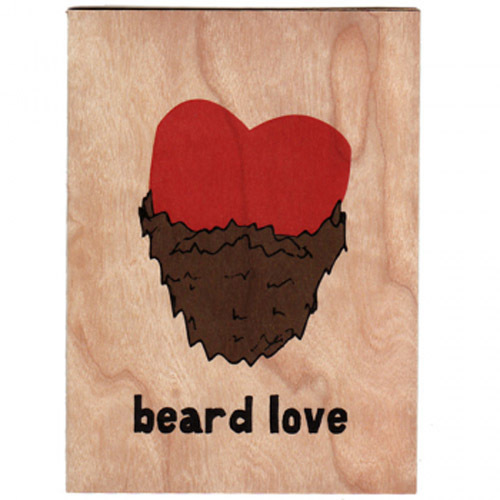 We heart beards over here at Spitfire Girl. Anyone that knows me, knows my fabulous husband sports a beard. He has been instructed to please never shave it. Please? 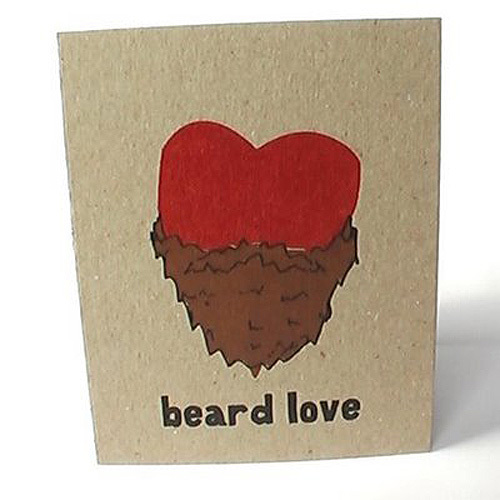 Given that check out our new letterpress card we just got in, Beard Love, by my friend, Kyle Durrie of Power and Light. This little guy below is letterpressed in three colors on recycled chipboard. For the love of a good beard! I heart you Jason Schroder!